So here was my thought process trying to come up with a specific subject to shoot for today's post: I thought about it almost being Valentine's Day, (no not "spooning" sillies), and I remembered having seen these Modern Welsh Lovespoons three or four months ago... and my brain said "take pictures of spoons!" I know, scary. Anyways, those spoons had caught my eye, not only because they are wooden, color-blocked and ridiculously awesome, but because my family's roots go back to Whales. I was immediately intrigued and wanted to find out more about a potentially old tradition. 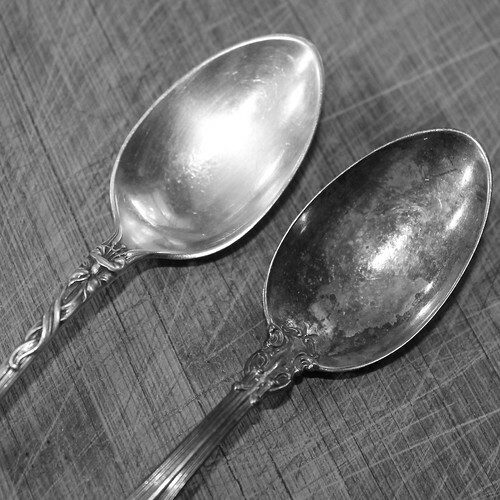 Have you heard of Welsh lovespoons before? Well, if you haven't, they date back to the 17th century and these spoons were traditionally carved by and given to girls by their "suitors" to show that they were skilled and capable of providing for a family. As this tradition evolved, the carving got more intricate and many symbols were carved into the spoons turning them into pieces of detailed art to impress. 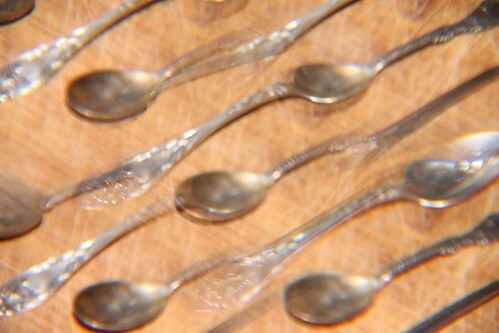 Today these intricate spoons can be bought as souvenirs in Whales, and are given as gifts on lots of different occasions. I'm a fan of handmade gifts anyways since they show the time, effort and thought that was put into them, but I also think the spoon serves a perfect symbol and metaphor... After all, seeing as how a spoon is an everyday object, wouldn't that be a more fitting way to express your love as opposed to a bouquet of flowers or a box of chocolates which are seen more as occasional gifts? I think the hand-carved spoon is where it's at. p.s. 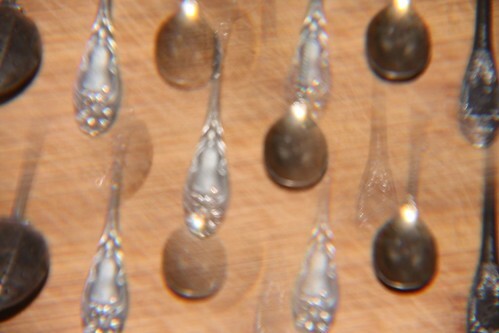 If you're looking for quirky spoon art, I ran across some cute spoon photographs on Etsy by Petek Design. 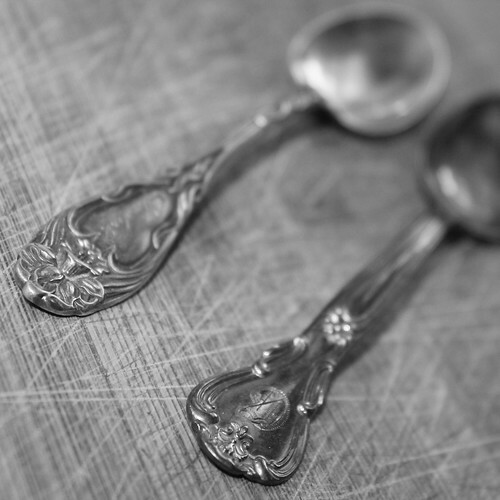 I love the spoons and enjoyed reading about the Welsh love-spoons and why they were carved. 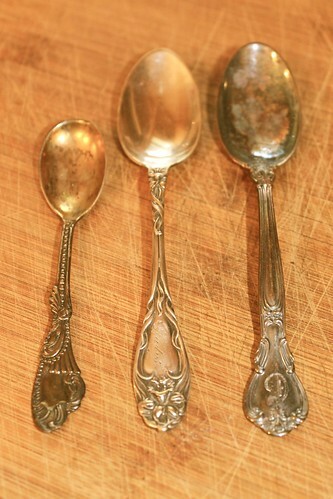 I really like decorated spoons and have a small collection of them handed down through the family. Have you ever been to Wales? I just adore home-made gifts too as I also know the time, effort and love that goes into them. Hand-carved wooden spoons are very beautiful as artistic objects even if they aren't very useful. My favourite wooden spoon is one I use in the kitchen made out of olive wood. 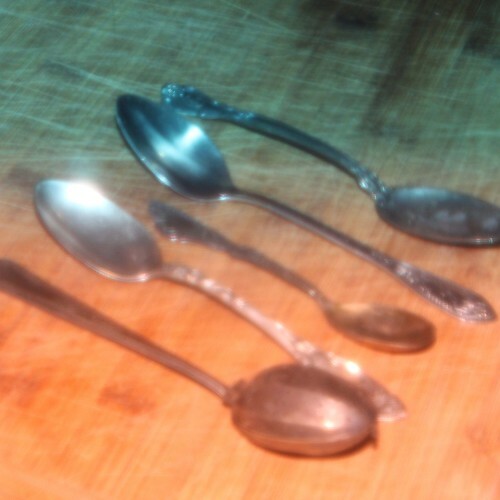 you funny (spoon)fool lady!!! Did you catch that????? We had a big hand carved spoon when we lived in Hawaii. Not sure where that went. Great photos. Love the history.